1915 LHA: New York: 1947miles. San Francisco: 1437 miles. Pine Bluffs, ca. 1867. Original photograph by Arundel C. Hull. Image from the Clarice Whittenburg Papers, Collection Number 400066, Box 20, Folder: Pine Bluffs; American Heritage Center, University of Wyoming. 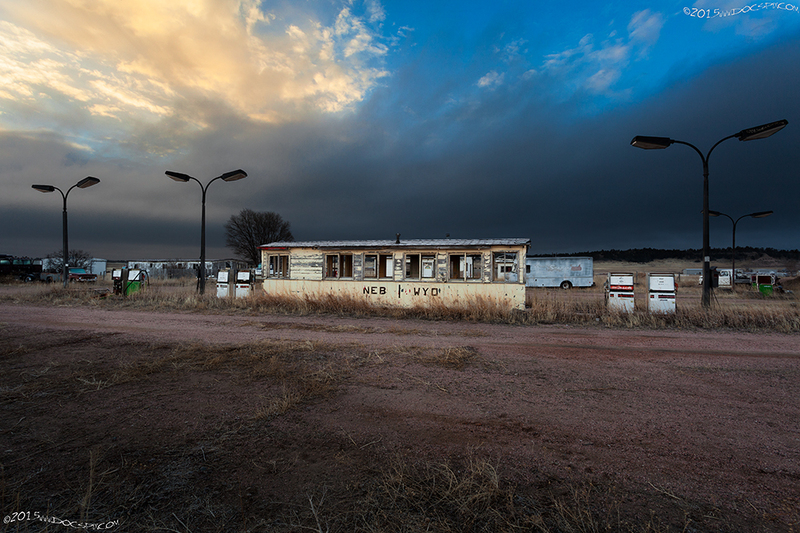 The State Line Gas Station straddles the Nebraska/Wyoming border. The Pine Bluffs Garage was opened in 1920, and probably had a mechanic available at all hours of the day or night. The Farmers State Bank, ca. 1917, it has since been converted into an apartment building. 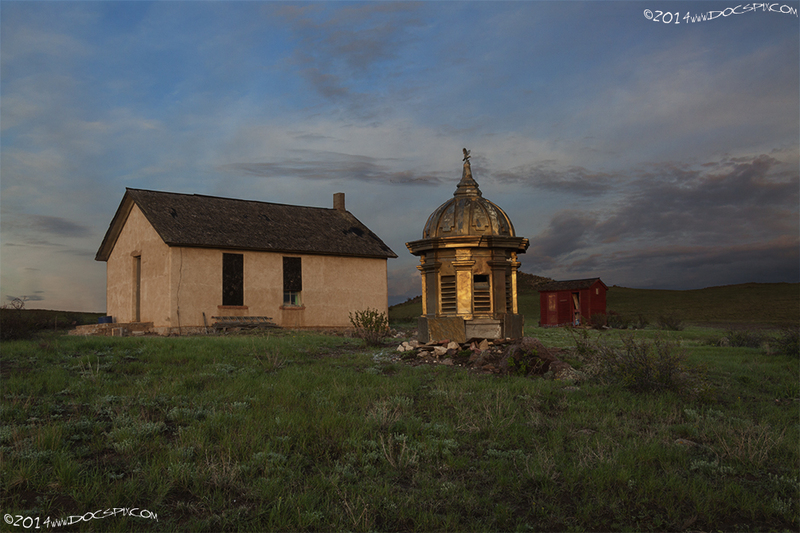 It now sits mostly vacant, and on the day of image capture, was for sale. The building that housed the Pine Bluffs Lumber Company was constructed in 1917. 1915 LHA: New York: 1957 miles. San Francisco: 1427 miles. 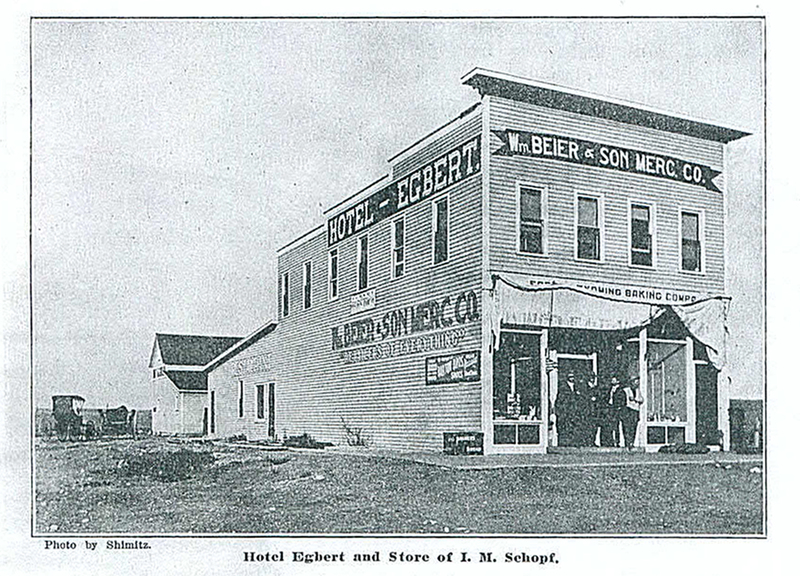 The Hotel Egbert, built in 1908, also had a dance hall. Photograph originally published in the Cheyenne Trade Journal, ca. 1910, Wyoming State Archives, Department of State Parks and Cultural Resources. The Hotel Egbert was constructed in 1908. The newspapers of the day reported that a large banquet was held in honor of its opening, the proprietors invited the cities of Cheyenne and Pine Bluffs to attend. A special train was arranged for transport to and from Cheyenne. The location of the original hotel is unknown. 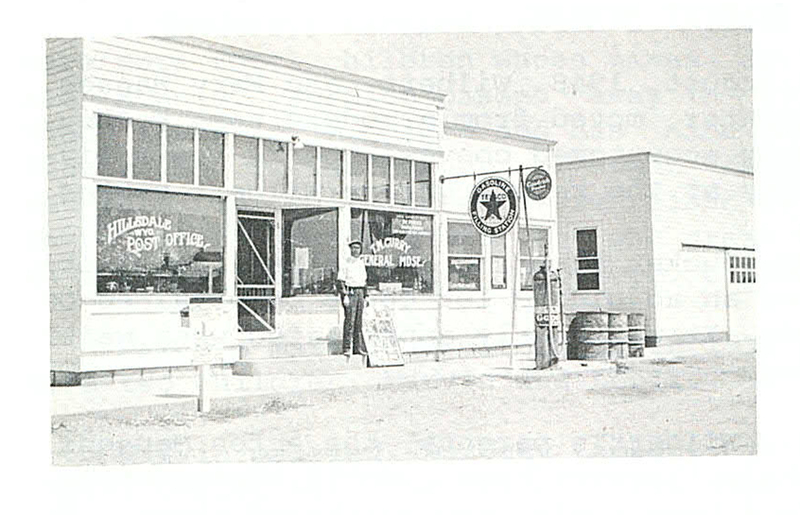 Egbert was once a thriving agricultural community with a school, church, grain elevator, lumber yard, bakery and the hotel. Trees, shrubbery, and grass are reclaiming their place on the plains where the town of Egbert once stood. This house was built in 1917, the garage was added in 1925. According to a long-time resident, this was a church. Today, Laramie County GIS lists this building as a tool shed. Egbert today has a total of ten homes. Of these, only five appear to have people living in them. There is also a pair of small farms in the immediate area, and these too, are occupied. The original highway crossed the U.P.R.R. northwest of the town. This crossing was removed sometime around the first realignment of the Lincoln Highway, ca.1924. A building that may have been American Legion Post 21, sits on the last alignment of U.S. 30 between Egbert and Burns, Wyoming. According to the National Headquarters of the American Legion, this was officially named: “The Callwell Post 21″; its charter date was January 1920, with post-cancellation occurring in May of 1948. It was named for Samuel H. Callwell, who died in combat while serving in the U.S. Army in France on October 6th, 1918. He was the only service member east of Cheyenne, (in Laramie County) to die in the service of the country in the Great War. 1915 LHA: New York: 1963 miles. San Francisco: 1421 miles. The Lincoln Highway Garage was opened in about 1917. The Hair Affair (today) building is one of the oldest commercial buildings in Burns. 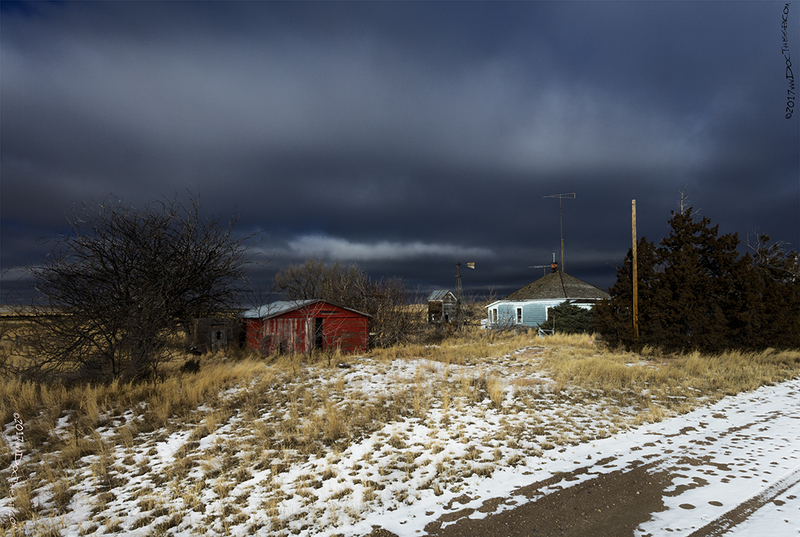 Burns has always been an agricultural hub for Southeastern Wyoming. This town isn’t listed in the 1915 guidebook, but the Union Pacific Railroad notes state the town has been existence since at least 1868. The Lincoln Highway was routed through here during its initial alignment, and, from all indications, remained a part of the trans-continental highway until at least 1924. The “Surveyors Camp” monument to commemorate the namesake of the town of Hillsdale, Lathrop Lafayette Hills. A former garage faces the elements along the original alignment of the Lincoln Highway in Hillsdale. 1915 LHA: New York: 1980 miles. San Francisco: 1404 miles. William Archer was part of the team of surveyors who were attacked near Hillsdale. 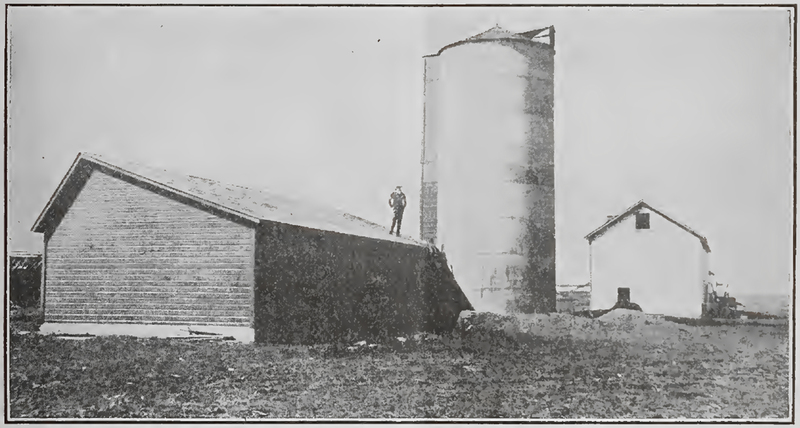 The correct name of the experimental farm was the Archer Field Station. 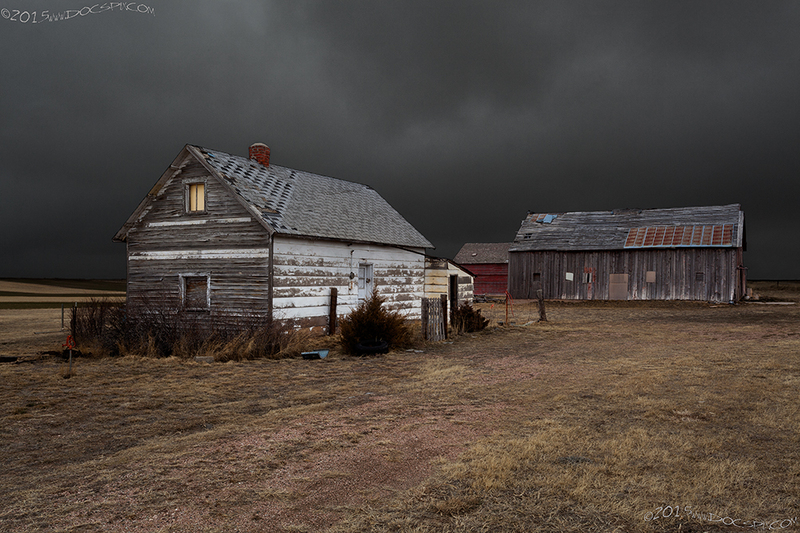 According to the Laramie County GIS, the house was built in 1910, the barn on the right was constructed in 1920, and the barn in the back was erected in 1940. The structures in this image are not from the Archer Field Station but are from what would have been a nearby farm. Today, the place where the Archer experimental farm has been transformed and is now home to the Laramie County Fairgrounds and Archer Recreational Complex. 1915 LHA: Note to Both East and West Bound Tourists. West-bound: Here detour for Denver, Colorado, via Wellington (34 mi. ), Ft. Collins (46 mi. ), Loveland (59 mi. ), and Longmont (78 mi. ), to Denver (114 mi.). From Denver, many points of interest and natural beauty may be reached. Among them are: Colorado Springs, Garden-of-the-Gods, Pikes Peak, Estes Park, Long’s Peak, Cherokee Park, etc. If you plan to continue your journey to Pacific Coast points, return over the same route (which is by far the best) to Cheyenne. Detour at Cheyenne for Cherokee park (18 mi.). Follow the Blue band marking. East-Bound: Here detour for Denver and Colorado points (see preceding paragraph for detail). If your plans contemplate proceeding east over The Lincoln Highway, two routes present themselves as follows: Return from Denver to Cheyenne (114 mi.) or proceed direct from Denver to Big Springs, Nebraska (227 mi.) via Fort Lupton, Greeley, Fort Morgan, Sterling, and Julesburg. Upon reaching either Cheyenne or Big Springs, proceed east following the route of The Lincoln Highway as shown in this Guide Book. 1915 LHA: New York: 1995 miles. San Francisco: 1389 miles. 1915 LHA: New York: 1999 miles. San Francisco: 1385 miles. 1915 LHA: New York: 2003 miles. San Francisco: 1381 miles. 1915 LHA: New York: 2007 miles. San Francisco: 1377 miles. The granite that was mined from here was used extensively for the Union Pacific Railroad buildings in Cheyenne and stone warehouses. The granite from both here and the Buford area is still being mined today; it is used as ballast material for the railroad. The Granite School was opened in 1892. 1: “The Complete Official Road Guide of the Lincoln Highway”, (published by The Lincoln Highway Association, National Headquarters, Detroit, Michigan – copyrighted 1915), Box 98, Folder Number 1, Payson W. Spaulding papers, 1886-1980, Collection Number 01803, American Heritage Center, University of Wyoming. 2: Informational sheet, Box Number 443, Folder Number 11, James L. Ehernberger western railroad collection, 1862-2001, Collection Number 10674, American Heritage Center, University of Wyoming. 3: Laramie County GIS, web access; http://arcims.laramiecounty.com accessed 27Jan2015. 4: Multiple sources: Wyoming State Archives, Department of State Parks and Cultural Resources; Laramie County Vertical File: Egbert and Book: Wyoming Place Names, Pg. 65, 2004 Ed. Mae Urbanek, Mountain Press Publishing Company, Missoula, MT. 5: Informational sheet, Box Number 443, Folder Number 14, James L. Ehernberger western railroad collection, 1862-2001, Collection Number 10674, American Heritage Center, University of Wyoming. 6: Multiple sources: Wyoming State Archives, Department of State Parks and Cultural Resources; Laramie County Vertical File: Burns; and Book: Wyoming Place Names, Pg. 65, 1988 Ed. Mae Urbanek, Mountain Press Publishing Company, Missoula, MT. 7: Informational sheet, Box Number 443, Folder Number 4, James L. Ehernberger western railroad collection, 1862-2001, Collection Number 10674, American Heritage Center, University of Wyoming. 9: Hillsdale Heritage, (book). Hillsdale Homemakers Club, 1976. 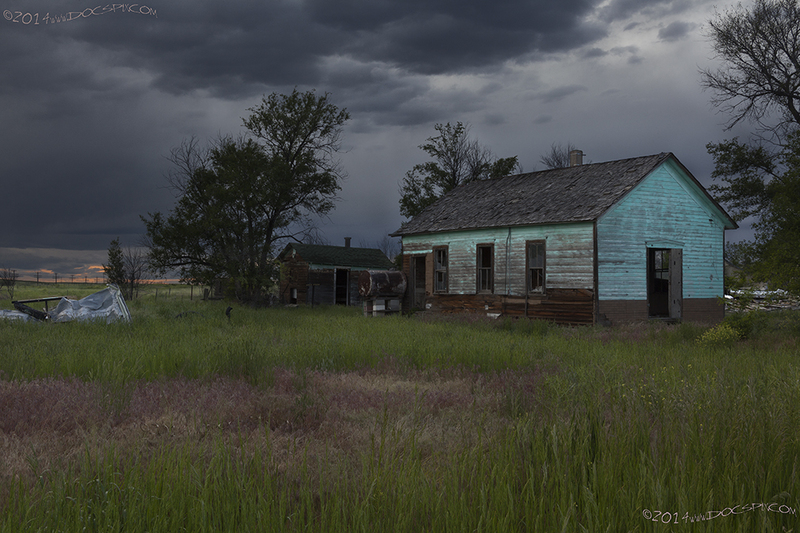 Hillsdale, Wyoming, 82060. Pioneer Printing Company, Cheyenne, Wyo 82001. 10: Book: Wyoming Place Names, Pg. 11, 2004 Ed. Mae Urbanek, Mountain Press Publishing Company, Missoula, MT. 11: “Cereal Experiments on the Cheyenne Experiment Farm, Archer, Wyo.” Jenkin W. Jones, Scientific Assistant, Office of Cereal Investigations. USDA Bulletin No. 430; Washington D.C., October 28, 1916, PDF file. 12: “Cereal Experiments on the Cheyenne Experiment Farm, Archer, Wyo.” Jenkin W. Jones, Scientific Assistant, Office of Cereal Investigations. USDA Bulletin No. 430; Washington D.C., October 28, 1916, PDF file. Image found on page 9. 13: Multiple sources, including Bill Barlow’s Budget Newspaper, (Douglas, WY), 16Jun1886; The Wyoming Bar Association Proceedings, 1919 edition, pgs 43, 59, 60, 62, & 63; Google Books, Accessed 27Jan2015. The Federal Courts of the Tenth Circuit: A History Chapter IV: Wyoming: The Territorial and District Courts, PDF. 15: Book: Wyoming Place Names, Pg. 28, 2004 Ed. Mae Urbanek, Mountain Press Publishing Company, Missoula, MT. 16: Multiple sources: Photocopy of book, notation: “UP Statistics, 1899”: Title: ‘The Carbon Cut-Off Railway Co.’, Box Number 440, Folder Number 9, James L. Ehernberger western railroad collection, 1862-2001, Collection Number 10674, American Heritage Center, University of Wyoming; Otto Kahn on Wikipedia: http://en.wikipedia.org/wiki/Otto_Hermann_Kahn; E.H. Harriman on Wikipedia: http://en.wikipedia.org/wiki/E._H._Harriman. Both accessed 27Jan2015. 18. Image captured 25May2014. I researched the Laramie County GIS website; http://arcims.laramiecounty.com prior to making the image. I obtained permission from the LCSD prior to entering the property. The quote came during a conversation with Suzi Taylor on 9Feb2015. I verified that the Laramie County GIS is still listing the owner of the building as LCSD.